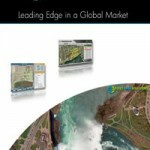 The Hemlo Operations of Williams and David Bell mines are a 50/50 joint venture between gold producers Barrick and Teck. 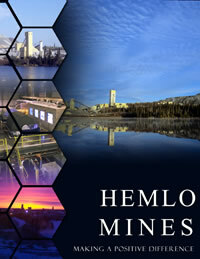 Hemlo consists of two underground mines: Williams (which includes an open-pit mine) and David Bell, located in the Hemlo Gold Camp approximately 350 kilometers east of Thunder Bay, Ontario. The two mines share milling, processing and tailings facilities. They also share superb safety ratings, which their supervisors can readily attest to. Since 2002, the Hemlo operations have been recognized by MASHA for their spectacular safety ratings. Each year from 2003-2007 the Williams mine has been recognized, and the David Bell operation has received honours in safety 2002, 2003, 2005, 2006, 2007. The mines have also received the prestigious John T. Ryan Award on more than one occasion for the most improved operations over a 2 year period. The Williams mine received the award in 2004 and 2005, and the David Bell mine was honoured in 2002, 2006, and 2007. Hemlo’s Courageous Leadership program involves every new employee – each must complete a two day program to make sure they are prepared to “do the right thing” on the job. “We have a professional and personal commitment to safety, and the measurement tools to prove it.” Courageous Leadership one-day refresher training is ongoing at the site. Management at the mines have conducted off site brainstorming sessions with the safest employees in order to determine the most effective ways to improve safety at the site. On one occasion in 2007, there had been a series of injuries that warranted an in-depth analysis. “That particular time we had three or four injuries in a row within the same group of maintenance workers. They were minor incidences but showed that there was an area of the operation that we needed to be particularly concerned about. We shut down that group when the pattern manifested and spent a full day off site with the entire maintenance team and refocused – asking the employees: What is going wrong? What can we do better? What can you do better?” Calnan goes on to say that Hemlo’s “first priority is to make sure everyone goes home safe and healthy everyday”. Hemlo is certainly known not only for its safety, but also its commitment to social responsibility. Employee Relations Coordinator Roger Souckey says that social responsibility is imperative to the success of the mines.